Wednesday nights on TV One are about to be reborn with a trio of motherhood series. 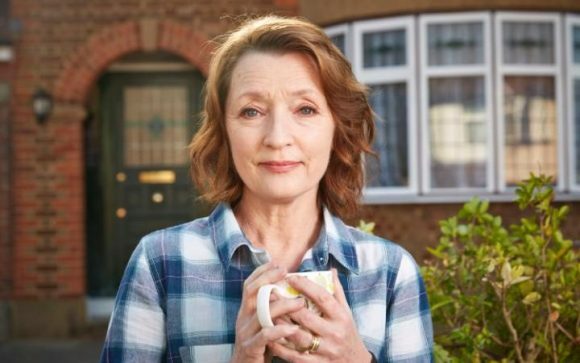 Anchoring the new-look line-up from July 20 will be British comedy Mum, which stars Lesley Manville as a widowed mother trying to rebuild her life. The Telegraph said it was “soothing and enjoyable, but lacks real bite”, The Guardian reckons it “puts the fun in funeral” and The Arts Desk called the tone “gentle, observational, the pace glacially lifelike”. “Lifelike” extends to Manville’s attitude towards cosmetic surgery. The 60-year-old, whose first big break was on Emmerdale Farm in 1975, told The Telegraph: “I watch Graham Norton and these movie stars come on and nothing moves! Mum will air 8.35, in-between 8.00 Australian newcomer Hatch, Match And Dispatch and the season five premiere of Call The Midwife. The former is an eight-part ABC series that “steps inside the Registry of Births, Deaths and Marriages (BDM), for an intimate look at the milestones that unite us all”. The Sydney Morning Herald says it “embraces contemporary issues in a moving way” while The Australian praised its “kaleidoscope of emotions, from excitement to sadness”. Call the Midwife, which will air 9.45 Wednesdays, opens with, depending on your tolerance of such fare, either a “heartbreaking premiere” that’s set in the spring of 1961 or one that’s “gut-churningly twee”. Missing in action is Miranda Hart, but she has confirmed her character Chummy will return for season six and this year’s Christmas special.